We are able to gain immense expertise in delivering Switch Mode Power Supply at clients' premises. 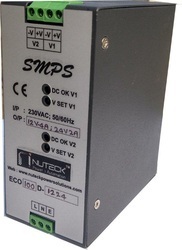 The offered range of switch mode power supplies is available in different customized specifications and forms as per the diverse requirements of valued clients. Along with this, the offered range is best suited for communication computer peripherals, audio equipments, test equipments, instrumentation and business machine. We do not deal into retail enquiry other than our set MOQ. Our customers can avail Open Frame SMPS from us. The offered range of open frame SMPS is made utilizing high-grade raw material and innovative techniques in strict compliance with the international quality norms and standards. Along with this, the offered range is ideally applicable in electrical equipment, stabilizers, and Transformers. We are an eminent name, which is engaged in delivering Switch Mode Power Supply to honorable clients. The offered products are appreciated in the market for their application specific product design, low cost, and universal AC input range. This range is made using modern machines and latest technology in conformation. Protection Output Over Load Above 105% Rated output Power Protection Type: Hiccup Mode, Recovers automatically after fault condition is removed. Output Over Voltage 115-135% Rated Output Voltage Protection Type: Hiccup Mode, Recovers automatically after fault condition is removed. With an immense experience and a competent team of professionals, we are able to deliver Dual Output SMPS. Our proficient quality personnel ensures to check the entire range of dual output SMPS on different parameters to ensure its adherence with the international quality norms and standards. 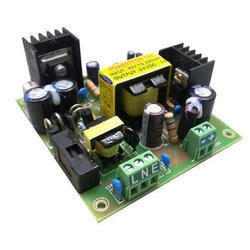 We are leading manufacturer and supplier of Switch Mode Power Supply. It is manufactured using quality raw materials and latest technology. Protection Over Load Above 105% Rated output Power Protection Type: Hiccup Mode, Recovers automatically after fault condition is removed. Over Voltage 27 ~ 29V Protection Type: Hiccup Mode, Recovers automatically after fault condition is removed.